During the year as we are emptying the warehouse from our store, we will be adding 100's of new items to this site. Please check back. 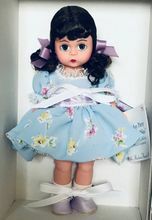 The following retired Madame Alexander dolls are all mint in original boxes with original handtags. All of the dolls pictured are available. 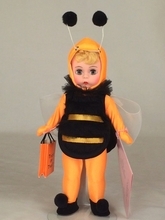 When a retired doll is sold out, it is deleted from the site. Each doll is mint, all original in original box with hangtag and neckbrace. Clothing is crisp with original sizing, tight elastic and both dolls and outfits retain high coloring. All dolls have tight joints. A few dolls were restrung and it was done with bands received from the Alexander Doll Company retaining their 'all original condition.' Any exceptions are noted in a doll's description.